Wayne Rooney Fans – Page 6 – Once a Blue, Always a Blue! The manager of Manchester United, Sir Alex Ferguson, has made it clear that the club is not going to sell Wayne Rooney. The ongoing season hasn’t been that prolific for Rooney. Especially, in the big matches, he has failed to deliver and that led to the speculations that Alex Ferguson might think of putting him on sale. 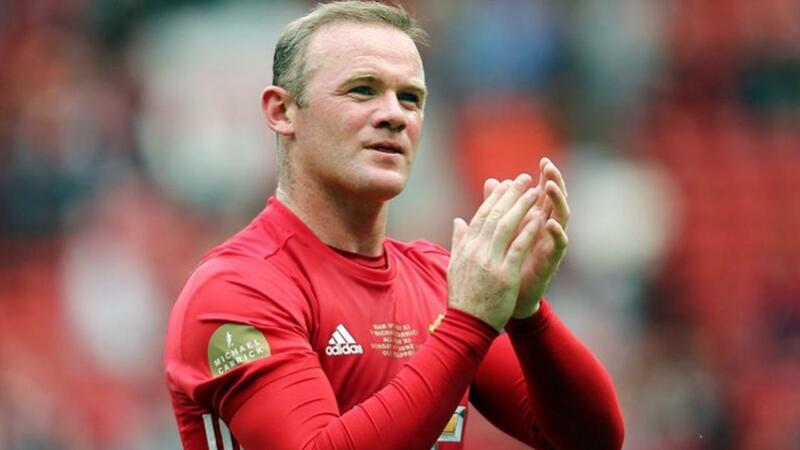 Also, there were reports that the French club Paris Saint-Germain had approached Rooney’s agent. But, the United manager yesterday denied the reports that Rooney would leave the club. Manchester United is said to be linked with quite a few strikers recently including Robert Lewandowski of Borussia Dortmund. Manchester United might also have to look for a goalkeeper in the transfer marker if they decide to sell their second choice goalkeeper Anders Lindegaard. Lindegaard still has three years left in his contract, but, there have been reports that he is the one whom United is planning to put on sale this summer. The Manchester United manager Sir Alex Ferguson has revealed that he will make a decision over the future of the defender Phil Jones at the national level after the end of the season. The former Blackburn Rovers defender is currently part of the England under 21 set up, but there have been calls for him to be included into the senior team by the England manager Roy Hodgson. He has made a successful comeback from an injury free season to form an integral part of the Manchester United team over the last couple of months. Even Ferguson has said that his performances and maturity put him above John Terry at the same age. Jones has been playing first-team football for United this season only since November. Even though he was part of the Euro 2012 in the summer, he has been included by the England under 21 manager Stuart Pearce. Ferguson has said that he will be taking a decision over the participation of Jones in the coming European championship for the under 21 team in the summer. Despite the good form of Jones, United have conceded a lot of goals this season. Yet, the attacking nature of the team has helped them to go nine points clear at the top of the table. “I haven’t paid much attention to it but I’m surprised he’s in the Under-21s and not the full squad. It’s happened quite a few times to players [to drop down into the Under-21s] and it’s understandable. But for the players that’s more difficult to manage because once a player gets into a full squad he thinks he’s achieved what he wants to achieve and taking the step back can be hard to manage,” said Ferguson. Jones has made eight first team appearances for United in the League so far.